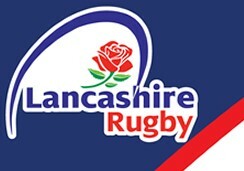 SOUTHPORT RFC, S&B SPORTS CLUB AND CRICKET. 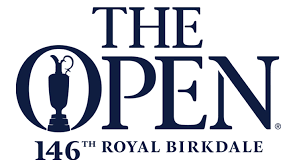 On 20th- 24th July 2017 our neighbours ‘over the tracks’ at Royal Birkdale Golf Club has the honour of hosting the 146th Open Championship, the tenth time it has done so. Southport RFC and Royal Birkdale are located within a few hundred yards of each other either side of Hillside Railway Station and have long fascinating and on occasion shared history even taking in the Open. The Claret Jug, one of the most iconic trophies in all of sport, was first presented in 1893 the year after the rugby club in Southport was formed which more recently has been delighted to make its pitches and clubhouse facilities available to help facilitate the organisation of the competition. Both clubs front onto Waterloo Road which was built through the virgin dunes in the 1920s although Birkdale Golf Club which dates from the 1880s has been in situ since 1894. The rugby club relocated from Victoria Park (site of The Open Camp Site) 30 years afterwards following completion of the road. The golf club built its distinctive Art Deco clubhouse, said to represent a liner sailing through the dunes, in 1935 a year before the rugby club unveiled its own architectural masterpiece in the timber grandstand still standing proudly today although it has to be said somewhat less salubrious! Birkdale was awarded “Royal” status in 1951 and members of both clubs, and Hillside betwixt, have built a convivial relationship over the years. Indeed folklore now suggests that on the rugby club erecting the tallest set of posts in the country on the main pitch a couple of seasons ago some wayward golfers now use them as markers as they fight their way through the towering dunes. There are however more tangible links (no pun intended) between the respective clubs through esteemed members. Back in the early 1890’s Southport player and former England international C M Sawyer (capped v Scotland 1880 and Ireland 1881 whilst playing for Broughton) resided in Birkdale for many years and was Hon Treasurer of Birkdale Golf Club. Latterly several Captains of Royal Birkdale have also donned the red, black & amber Southport RFC shirt and are proud patrons and sponsors including Mike Halsall, John Rostron, Sid Ludlow and last year Terry McGraw. Indeed both clubs benefit from patronage from many shared members. The Open is a magnificent event for both clubs, and although the eyes of the sporting world on the town it still drills down to some great local trivia. Southport born and bred golfer Tommy Fleetwood now establishing himself as one of the leading players in the game is a former pupil of Scarisbrick Hall School with whom Southport RFC has an excellent relationship though players & parents, community coaching and SAFES. With the R&A using the club facilities the Senior Men and Ladies have decamped to train within the glorious grounds of Scarisbrick Hall generously enabled by the School.